Diastasis Recti awareness is a mission for me. Both men and women can be affected by it, however the demands from pregnancy can make it worse or even cause life time health implications. For pregnant women the short term affects of Diastasis Recti include a ‘mom belly’, poor posture, and back pain. Long term a weak Diastsis can learn to hernias, breech babies in future pregnancies, and long term ambulation issues. 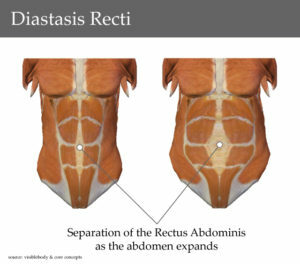 With that in mind, I hope you enjoy this guess blog from Restore Motion on Diastasis Recti. Most people know that the abdominal muscles can be toned and displayed as a “six-pack.” Fewer people know that the same muscles can also separate from each-other, right down the midline, forming a diastasis rectus abdominis (DRA). 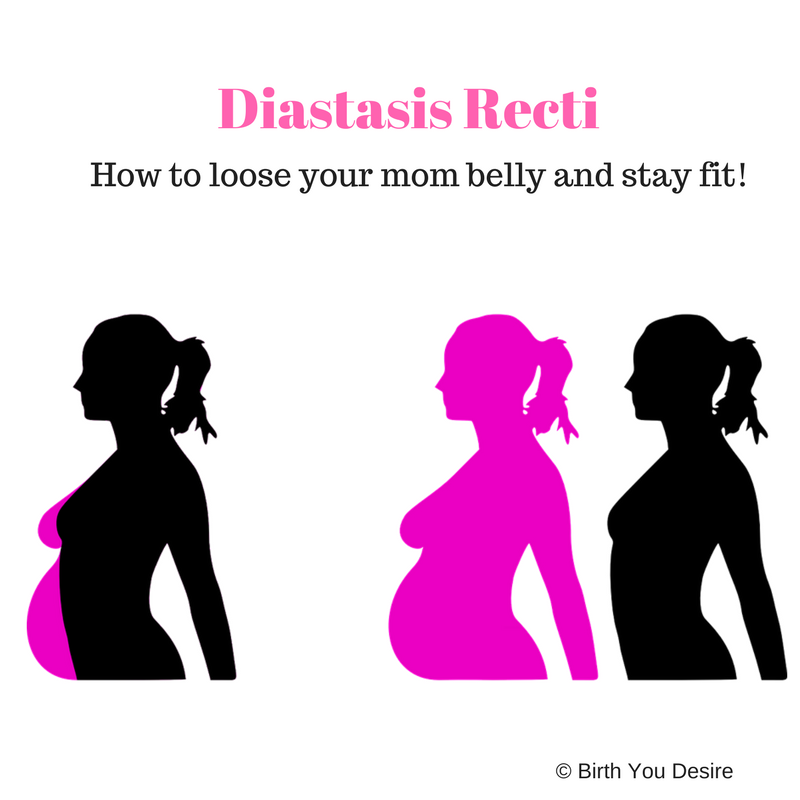 Diastasis means separation. Rectus abdominis refers to muscles that make up part of the abdominal layer closest to the skin. They are the vertically oriented muscles in the picture above, comprised of a right and left side. The two strips of muscle are connected to each-other by connective tissue (fascia). In the formation of a diastasis rectus abdominis, the connective tissue stretches and the muscles elongate. Q: What are the Risks Associated with Having a Diastasis Rectus Abdominis? A: Increased risk of injury to your back from decreased core support. Muscles function best at optimal length. If the rectus abdominis muscles are asked to work in an over-stretched position as in a DRA, they will not contract as efficiently. The result is less core support of your spine and pelvis. Decreased core strength or core muscle imbalance is associated with risk of injury, especially to your back. In addition to the risk of injury, some people simply dislike the appearance of a protruding abdomen. How can a Diastasis Rectus Abdominis Form? What can be done about a Diastasis Rectus Abdominis? Treatment options include physical therapy, wearing an abdominal brace, or surgery. Identification of movements and postures that exacerbate the DRA and education on how to avoid or modify these factors. This includes education on proper lifting/carrying/lowering body-mechanics. Exercise prescription focused on helping the rectus abdominis muscles activate as well as balancing the strength and coordination of deep core muscles (e.g. pelvic floor muscles, transverse abdominis, multifidi, and diaphragm). Appropriate treatment will depend on the severity of the separation and how long it has been that way. Consult your medical team to determine if you have a diastasis rectus abdominis and what is the best approach to treat it.